Hello my friends, It’s December, and you know what that means?? 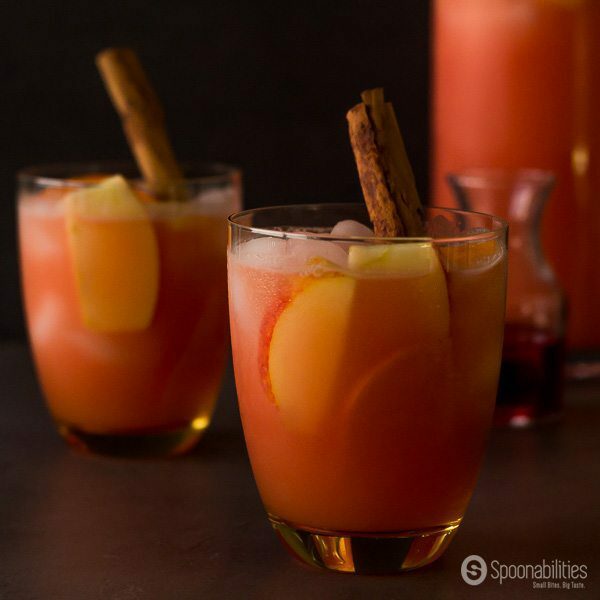 It’s time to celebrate and cheer with a special spiked drink that I am calling Caramel Apple Cider Vodka Punch. I have been looking forward to the holiday season because I love the whole spirit of the season with traditional Christmas songs and the colorful lights. I believe now more than ever we need to change our mood and have faith about the future of our country. When I first planned to make a seasonal drink with apple cider and caramel, I started to imagine being up north with the snow, and feeling cozy sipping a hot caramel apple cider in front of the fireplace. But last Sunday I realized that whole idea was wrong for the drink recipe because I DO live in sunny Miami. The city was calling for a festive fall drink for 75-degree weather. So my inspiration comes from my experience of Geoffrey and I having a cocktail or fruit punch on Ocean Drive, sitting at one of the sidewalk restaurants where you just sit there watching people walking along. If you live or visited South Beach, you know what I’m talking about!! If you haven’t been to South Beach, put it on your bucket list of places that you want to visit. It’s a fun place with beautiful beaches, unique hotels, cute and fit people, a melting pot of cultures, and wild nightlife (or at least it used to be – I haven’t been out in ages.) Here in Miami, Geoffrey and I have many more places still to discover. Besides beaches and parties, you can find art too. Yes!! Here in Miami. 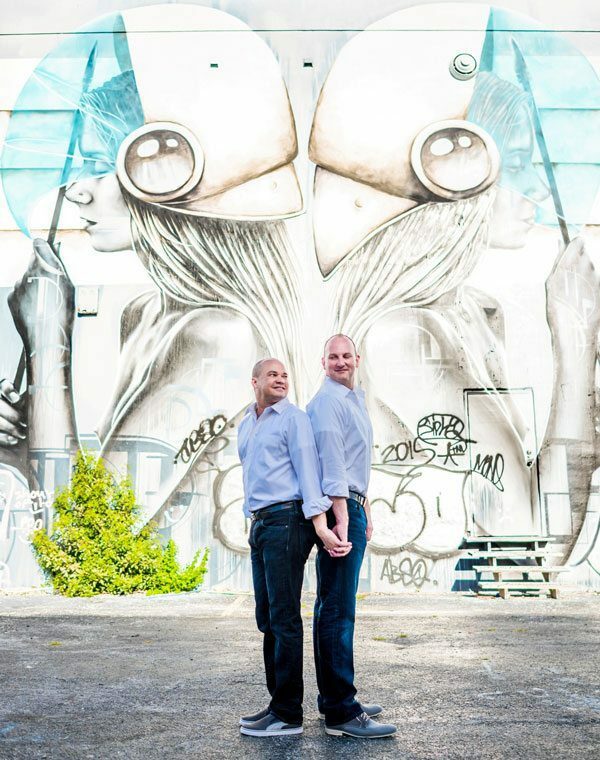 One of the places that Geoffrey and I love to go to is Wynwood. It’s also called the district of the arts. The city has many fine art galleries, excellent restaurants, and a hip environment. This town is better known for all the graphic street art (graffiti) that covers the walls of every building or warehouse in this part of town. 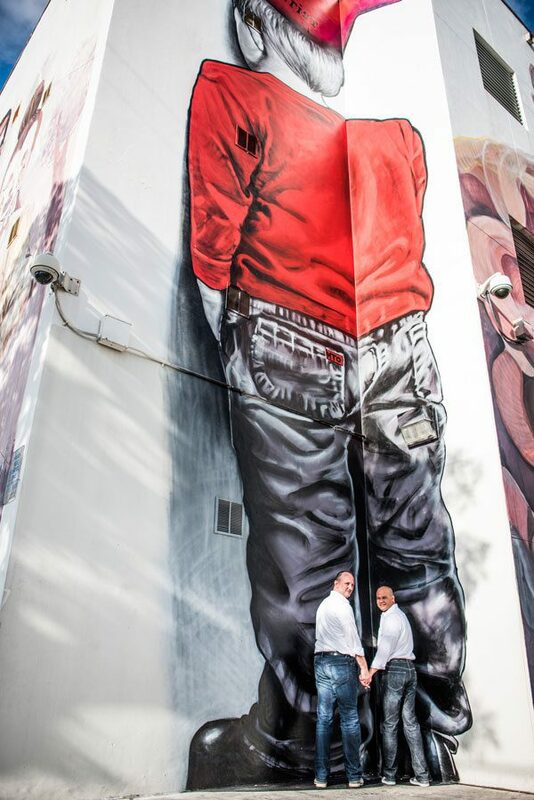 What decades ago was considered vandalism by some, has become a thriving artistic community of graphic street artists who paint at or around Wynwood Walls. This year 12 new walls of art will go up at Wynwood Walls as part of their Art Basel Miami Art Week program, entitled Fear Less – a call to be fearless in a world that often seems absorbed with fear. This big event called Art Basel Week starts on December 1st. With pop-up art galleries all over in Wynwood, Midtown, South Beach and downtown Miami, Art Basel is “North America’s most comprehensive international contemporary art fair with 269 galleries from 29 countries showcasing works by more than 4,000 artists.” Most of the restaurants and hotels in the city also showcase their art pieces and paintings, and a lot of celebrities come into town for this event. You can imagine the traffic during those days is ridiculous. We are lucky because we live very close to all those exhibitions. Red Dot is having their exhibition two blocks from our condo, and we have been watching them set up from our balcony. Their exhibition is called Spectrum. For both the upcoming and established artist, Art Basel is a very important event. Works of art get commissioned, purchased, curated by prominent fine art curators, and viewed by millions of people who ordinarily wouldn’t see it. I think I got carried away with Art Basel and I forgot to talk about what you are here for… my sweet, fruity, festive and alcoholic beverage to celebrate the holidays; Hanukah or Christmas season. This punch sounds sweet, but it is not too sweet. The vodka and the lemon juice cut the sweetness and balance the flavor. 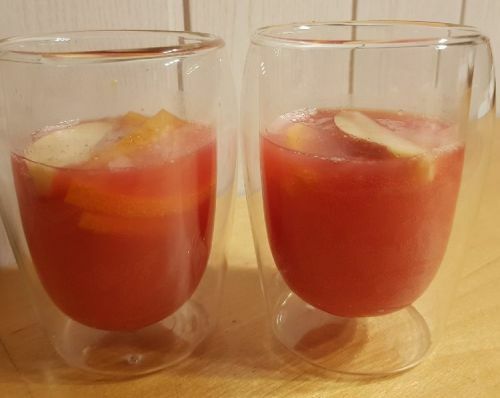 The drink is easy to make and serves eight people. Get a large pitcher and add the apple cider, vodka, grenadine, lemon juice, caramel and some sliced Ambrosia Apple & Persimmon. Mix and keep in the refrigerator until you are ready to serve. If you prefer it without fruit, that’s fine. You can then call it a cocktail. But if you add the fruit, you can call it a punch. I melted the caramel for 10 seconds in the microwave to be able to dissolve better in the cold drink. The Caramel Apple Cider Vodka Punch recipe is perfect for your upcoming holiday party because it takes no time at all to prepare, and you can make several batches and keep it in the refrigerator. Set a space on the drink table with a large pitcher, a bucket of ice, and place in a fine glass bowl the sliced apples and persimmon. This way you give the option to your guests to choose how they want the drink – cocktail or punch. 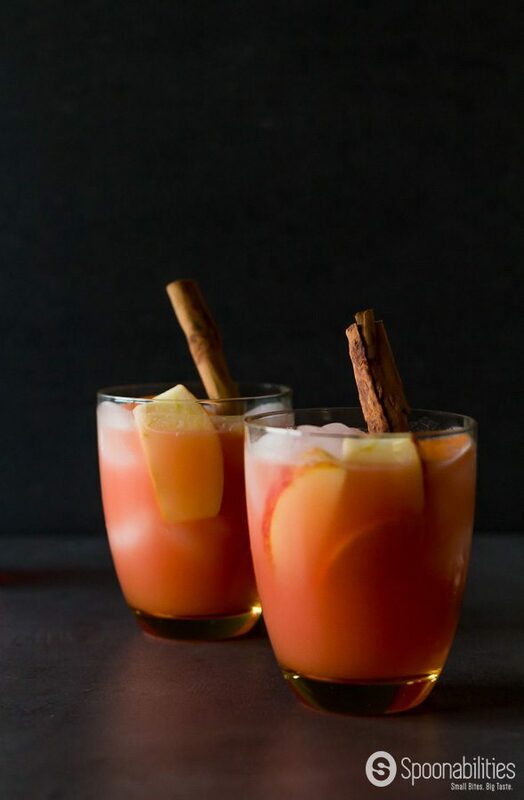 Some people call this drink a Caramel Apple Cocktail or a Spiked Caramel Apple Cider. 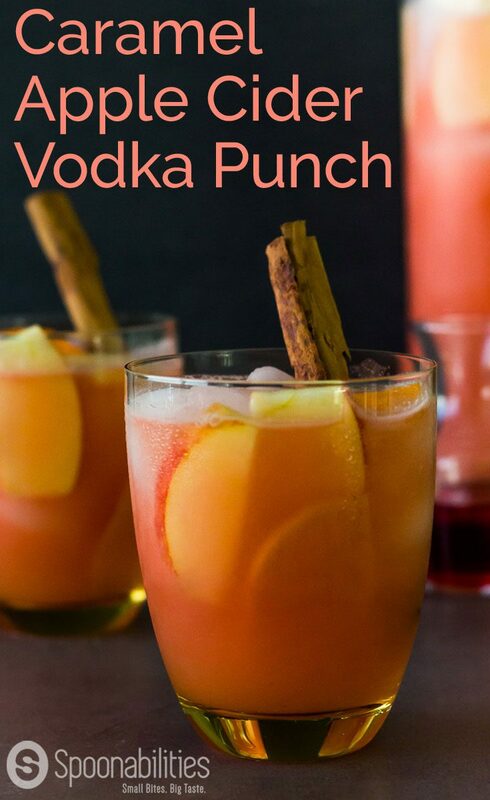 I think this drink deserves a more fun name, and I want “vodka” and “punch” to be in the name of this recipe. UPDATE: This recipe is also part of our special group of caramel sauce recipes called 6 Creamy Dreamy Caramel Sauce Recipes You will Crave All Year Long. December: It's time to celebrate and cheer with a special drink that I am calling Caramel Apple Cider Vodka Punch. This punch is a sweet, fruity, festive and alcoholic beverage to celebrate the holidays; Hanukah or Christmas season. Caramel Apple Cider Vodka Punch has Salted Caramel Sauce and is easy to prepare and can be made ahead a time. This drink recipe is perfect for your upcoming holiday party. Serve as a punch, as a cocktail. In a large pitcher add all the ingredients and mix well. Slice the apple and the persimmon. Add them to the pitcher. Keep in the refrigerator until is time to serve. Add ice to the rock glass and pour the punch. Make sure to add some fruits to the glass. Love vodka so Will definitely be trying this one out! Will let you know! Thank you for stopping by, and for your comment. We would love to hear from you after you make the drink. Oh my this sounds amazing and the next time I entertain I plan to make it! 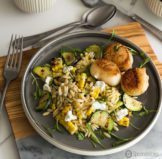 I am so inspired with all your products and recipes… spoonabilities.com is big plus in my life! Thank you so much for being such an amazing customer and Friends now:). I have to tell you you will be surprise how good is this punch! 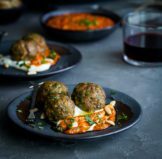 We just ‘pre-tried’ this recipe, because we’re looking for a punch to serve at my birthday party on the weekend. It’s lovely and something extraordinary, not only fitting into the Christmas season, but also into the colourful autumn we’re just in!!!! THIS will be the punch! Thanks Carlos for the inspiration! Carlos read your comment and asked me to reply to you because he’s away on a business trip. 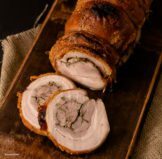 We are very excited to receive your message and SO HAPPY that you love the recipe. It’s really a great unique punch as you know. 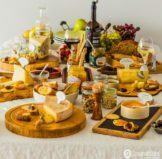 Do take some pictures so we can see how it turned out for your party. HAPPY BIRTHDAY!!! and Happy Autumn! Thank you so much for your comment. Sending you some extra warmth from Miami. The punch was great!!!!! Our guests loved it as well! We made a whole lot of it and it was almost gone by the end of the party. Thank you so much for sharing Daniela! I’m so happy to hear that the punch was a success!!! 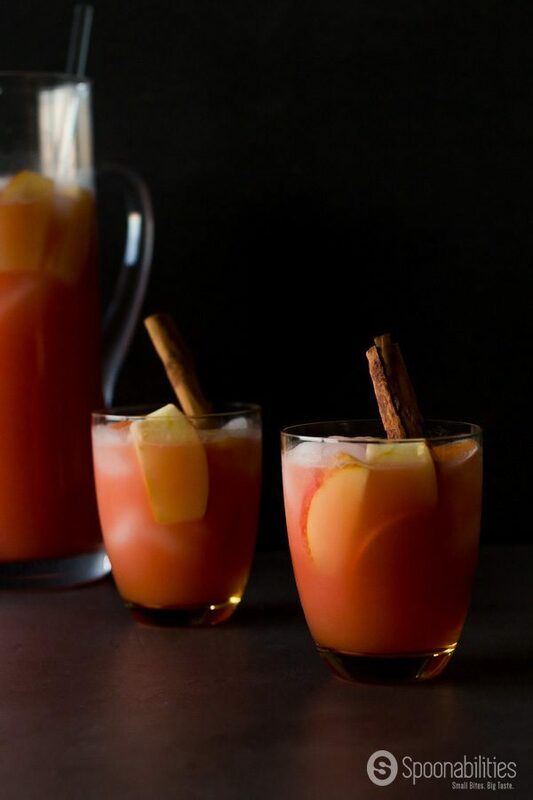 I look forward to caramel apple cider every fall, so I am thinking I am going to love this punch! Hello Mary, I love caramel apple cider too:). I’m pretty sure you will like this punch. Let us know if you get to make it! This looks AMAZING, can’t wait to try it! Thank you, Emily! Let us know what you think when you get to try. Hi Chris, I’m looking forward to hearing from you how the drink turns out. You really will love it. I’m having a holiday get together tonight and was looking for a cocktail, this is perfect! Hi Alyssa, I hope you get to make it tonight. Please send us picture if you make it :). This sounds so delicious! Love the flavors – perfect for this season! Hi Julia! It tastes terrific, and it’s not too sweet.